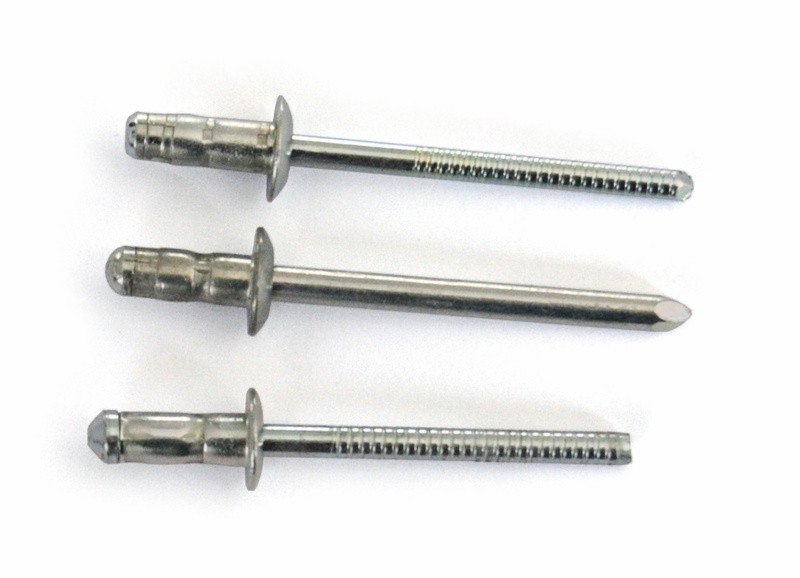 Hardvex Rivet is a high-strength fastener system and can be used to replace several standard grip fasteners. Our Hardvex rivet is synonymous with versatility. It is a fastener element made of an aluminium alloy that allows working with a great variety of grip ranges. Bralo Hardvex Rivet ensures a homogeneous fastening, a firm and high quality joint that is resistant to all kinds of vibrations. Furthermore, when properly fastened, it provides a tight seal against weather conditions. Good filled of the hole. It allows to compensate uneven, misaligned, oversized or grooved drills. Wide bearing area on the blind side, making it especially suitable to be used for applications with thin sheets and for repairing. Diameters: 4.8 mm. y 6.4 mm.